It’s not often you get something for nothing, but thanks to the determination of group of countryside revolutionaries, exploring and enjoying our National Parks is indeed free! It’s 70 years since the 1949 Act of Parliament that established the family of National Parks in England and Wales. Hard to believe today, but the rebellious ramblers of the 1932 Kinder Mass Trespass in the Peak District were imprisoned for protesting on the moors for the right to roam and have open access. However, their concerted efforts were eventually rewarded and led to legislation establishing the UK National Parks. It means that today our most beautiful countryside in England, Wales and Scotland has the strongest levels of protection. This year we celebrate 70 years since the 1949 Act of Parliament was passed which established the 15 National Parks that we know and love today. Ethel and Gerald Haythornthwaite were environmental campaigners and pioneers of the countryside movement and were instrumental in establishing the Peak District as Britain’s first National Park in 1951. As campaigners they fought to protect the countryside, but realised the importance of the landscape as a living, working environment. 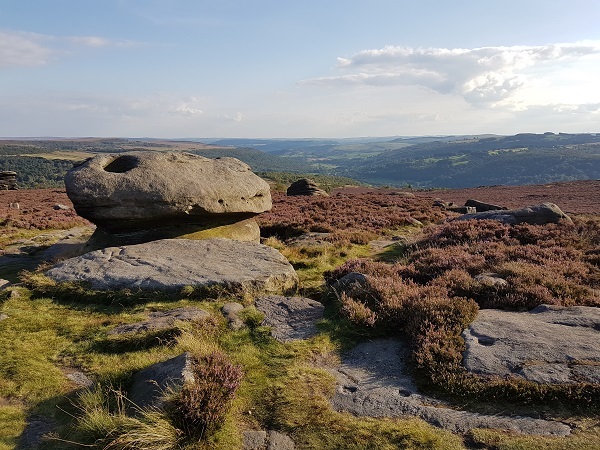 They also founded the charity Friends of The Peak District which we support and which continues to protect the precious countryside around us. The Peak District, founded in 1951, is the oldest National Park. with it’s breath-taking gritstone edges and moorland of the Dark Peak, contrasting with the steep limestone dales of the White Peak. It is also famed for its caverns and the precious and unique Blue John stone. Growing up at Hoe Grange Farm David didn’t really comprehend the beauty of our special environment. It is only since diversifying into self-catering holidays that we truly appreciate where we live and work! What is it like to work as a Ranger in the Peak District? As part of the English National Park Experience Collection you can get hands on and find out! There are 15 National Parks in the UK, all of which are unique – some have high mountains, some have rolling valleys, others meandering wetlands and dramatic coastline. They are home to our most precious wildlife, protect our beloved countryside landscapes and are a source of boundless pleasure for the millions who visit each year. The wide-open spaces enable you to explore, experience the elements, learn, relax, and escape the pressures of the modern world. You can enjoy some quality family time, discover ancient traditions, or go on a more challenging, rugged adventure. There is something to appeal to all age groups and abilities. The name ‘Peak’ does not relate to mountains (we only have large hills!) but is thought to be derived from the Pecsaetan, an Anglo-Saxon tribe who settled the area. The Peak District National Park covers an area of 555 sq miles, but is by no means the largest National Park – the Cairngorms in Scotland is the biggest. It reaches into five counties: Derbyshire, Cheshire, Staffordshire, Yorkshire, Greater Manchester. Ramble along 1,600 miles of public rights of way, footpaths, bridleways and tracks, 64 miles of which are accessible to disabled people. Take a walk on the wild side! Around 520 sq km (202 sq miles) is open access land – open to walkers without having to stick to paths (more details: www.peakdistrict.gov.uk/visiting/crow). 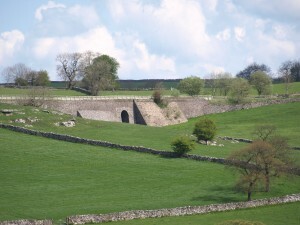 Cycle, walk or ride along 34 miles of disused railways, including The High Peak Trail next to Hoe Grange, Tissington Trail and Monsal Trail. Nearly 90 per cent of the National Park is farmland with around 1,800 farms. Incredibly there are 5,440 miles (8756 km) of dry stone walls! Not short of water there are 55 reservoirs supplying 450million litres of water a day. 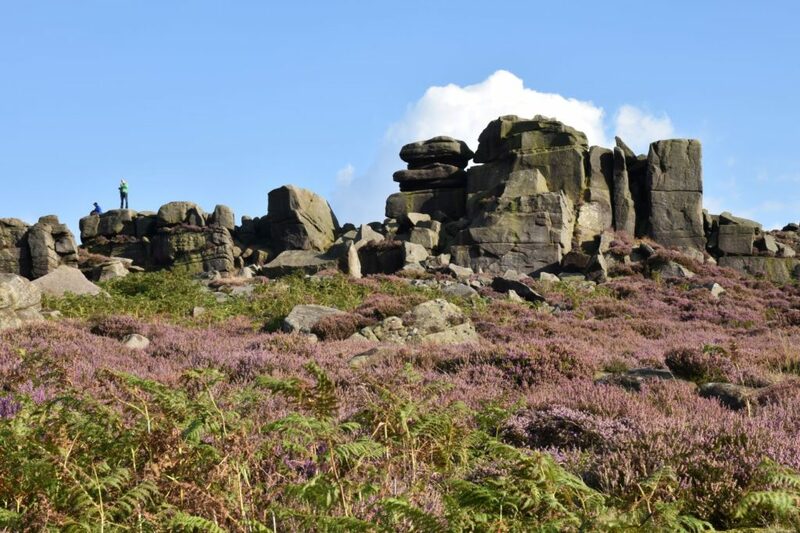 More than a third of the national park (35%) is designated as Sites of Special Scientific Interest (SSSI) where important plants, wildlife and geological formations should be conserved. There are more than 450 scheduled historic monuments, including Nine Ladies Stone Circle (Bronze Age) on Stanton Moor, and Neolithic henge at Arbor Low. 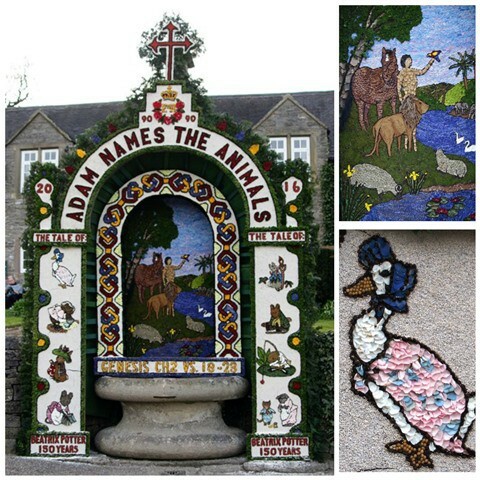 There are quite a few quirky and distinctive customs, but one of the most well know is well dressing. Originally a pagan ceremony to honour water gods, it is now a favourite tradition in many villages, including Tissington just a few miles from Hoe Grange. The wells are dressed with flowers, petals, seeds, twigs, nuts and berries, pressed into soft clay held in wooden frames and often depict Biblical themes. The Peak District and all the National Parks are a real treasure. They protect and steward our most valuable natural assets, whilst at the same time providing access to open country for all. Feel free to enjoy to your heart’s content whilst you stay at Hoe Grange!